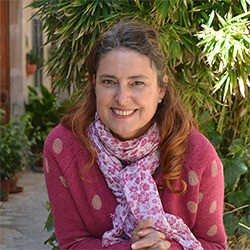 From 1998 to date Pilar has used her voice in countless professional projects all around Spain. She has worked for different television stations, agencies, media producers and radio stations in Madrid adding her self-confidence and experience in many aspects, such as narrator of documentaries, e-learnings ,multimedia apps, expositions as well as for advertising, lip-synched videos, voicemails... In addition, she has worked as a voice actress in dubbing projects with cartoons, fairy tales and videogames... Nowadays she records from her own soundproof booth ( Studiobriks ) offering a high-quality recording and delivering clean and echo-free audio files in a standard 24/48-hour turnaround. The studio is equipped with Source Connect software for remote recording. Clients can also monitor the recording session via Skype and BodalgoCall. Description of voice: Professional, engaging, trustworthy , elegant, warm and natural. Pilar brings naturality and originality to any kind of text adding confidence and a feeling of calmness to your brand. She offers quality, versatility and efficiency combined with a pleasant and easy treatment. Her voice fits perfect as a narrator for documentaries, e-learnings, medical narrations, corporative videos, airline companies, IVR (business' voicemail), bedtime stories... Listen to her demos! She records from her own soundproof booth ( Studiobriks ) offering a high-quality recording and delivering clean and echo-free audio files in a standard 24/48-hour turnaround. The studio is equipped with Source Connect software for remote recording. Clients can also monitor the recording session via Skype and BodalgoCall.